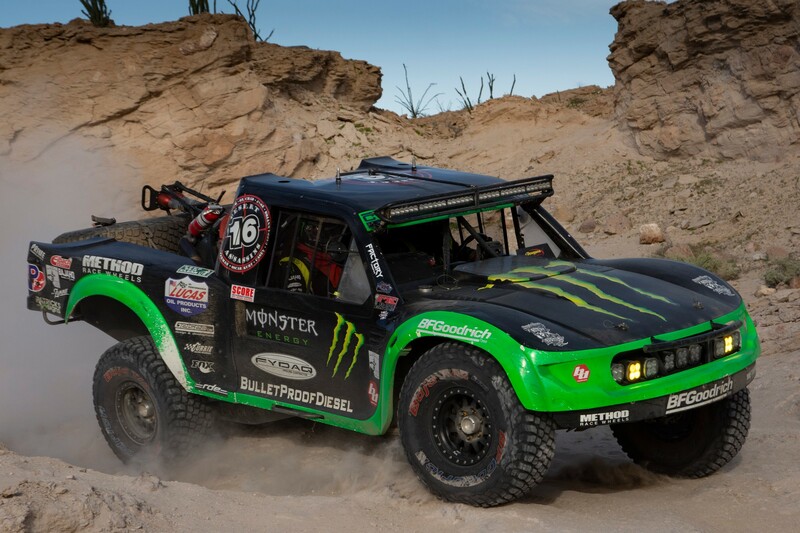 The Steele family has been racing in Baja California for 47 years. Family patriarch Mark Steele began racing in Baja in 1971. Cameron Steele, Mark’s son, began racing in 1985 and started racing trophy trucks in 2005. 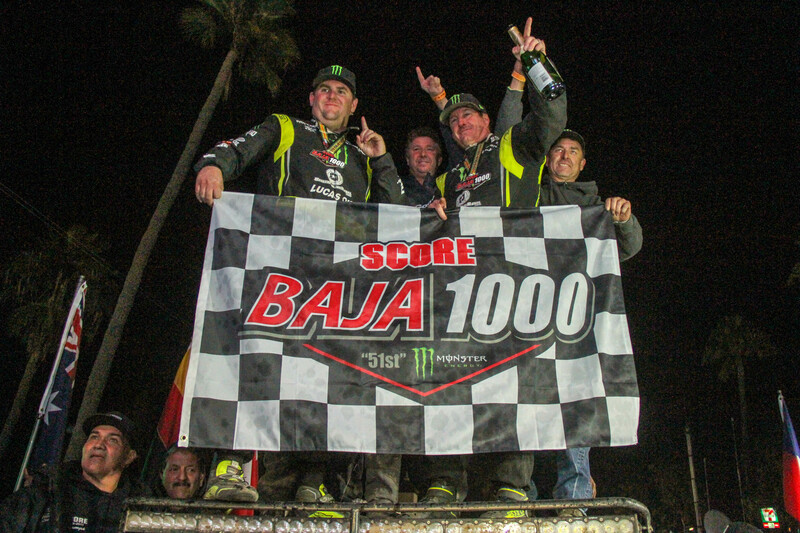 Mark, Cameron, Cameron’s wife and Cameron’s brother had all won their classes at the prestigious Baja 1000, but no Steele truck had ever been the fastest in the Baja 1000 as of Mark’s passing in July. That changed last weekend. 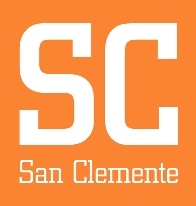 Cameron Steele of San Clemente crossed the finish line first in Ensenada and completed the 806.76-mile race in 16 hours, 24 minutes and 2 seconds to claim the overall four-wheel vehicle and SCORE Trophy Truck race victories in the 51st SCORE Baja 1000. The Baja 1000 is the longest continuously held desert race in the world and the final of four races in the SCORE Desert World Championship. 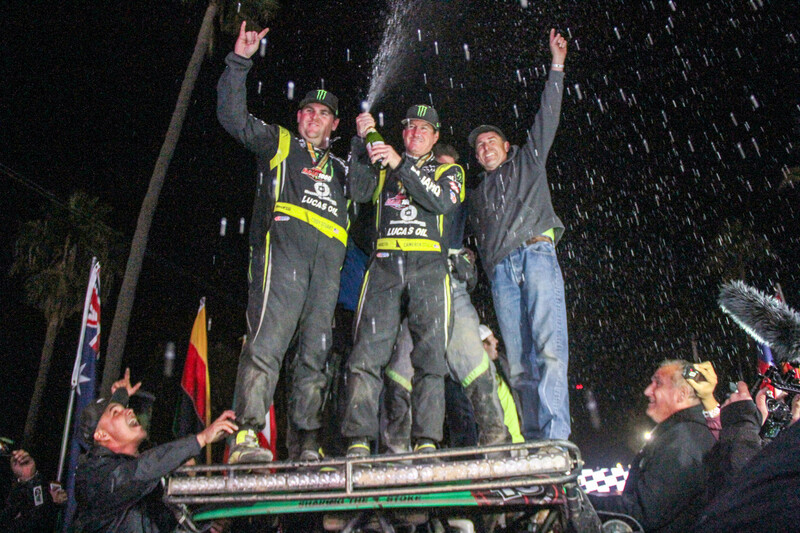 Steele and his team didn’t take the overall championship, but winning the Baja 1000 alone is more than enough for Steele. 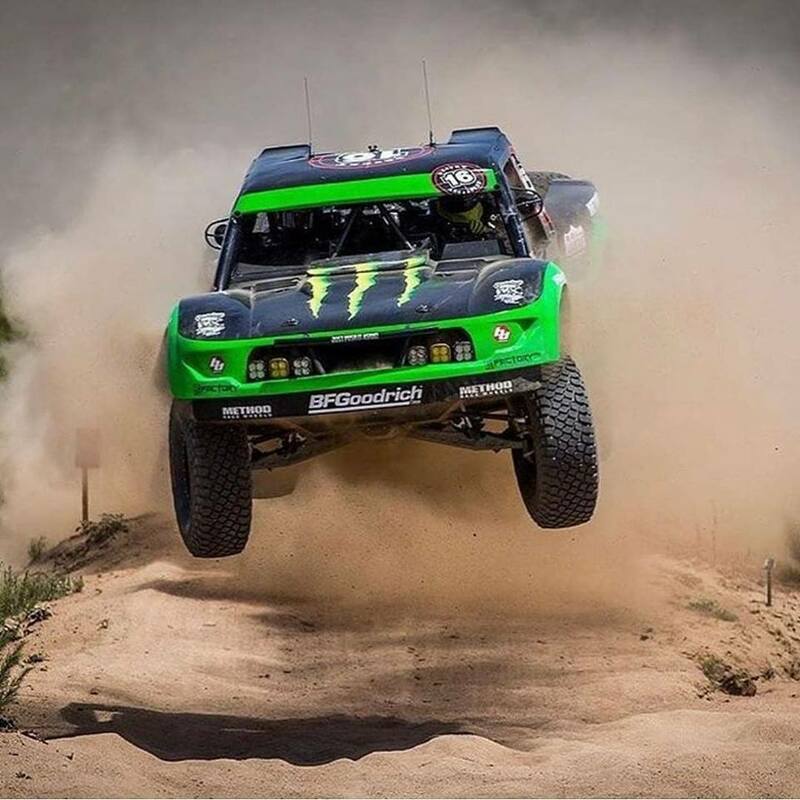 Steele split the driving duties on the Monster Energy Desert Assassins Ford Raptor built by Geiser Bros. with Pat Dean of Las Vegas. 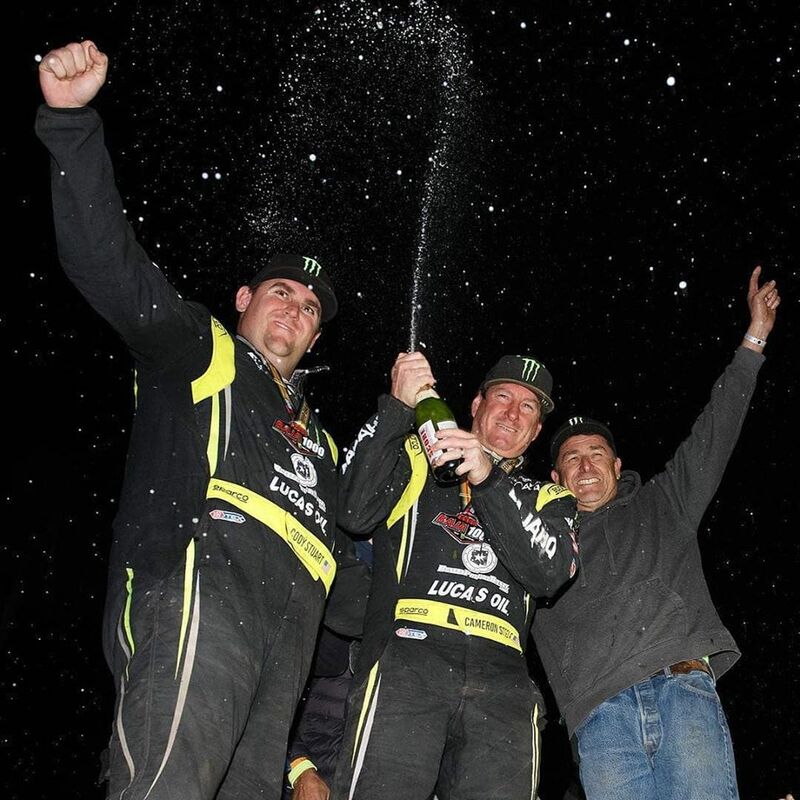 Dean drove through mile 538, and Steele finished it off to claim his second career SCORE Trophy Truck win and second consecutive after winning September’s Tijuana race. The heart was in it for Steele maybe more than most, as he rode with the ashes of his father, Mark, firmly secured in the back seat. 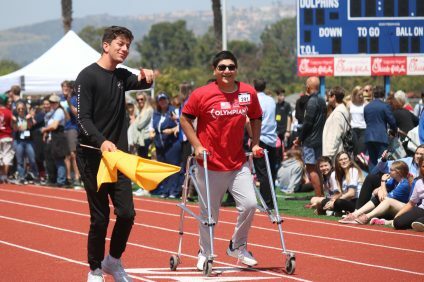 Being calm is important over a lengthy race where problems are sure to arise. There was a major issue early in the race at mile 140 where the truck lost its first gear and eventually its reverse. On a day filled with slot canyons and silk sand, Steele and his team had to be extremely careful without the ability to back out of any problem. 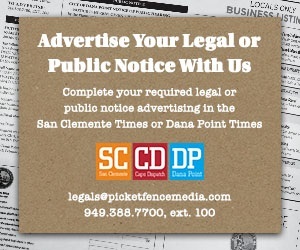 Steele will show off his winning truck unwashed at South OC Cars and Coffee on Saturday, Nov. 24 from 9-11 a.m. at the Outlets in San Clemente. 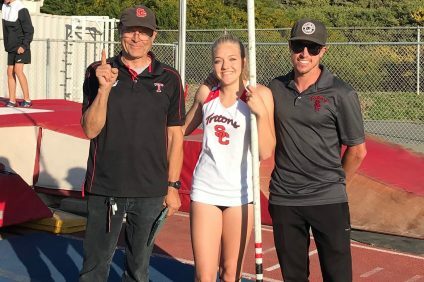 San Clemente was well represented in the results from Baja. Justin Munyon helped pilot a second-place finish in Class 1. Roger Malcolm was the lead driver on a second-place finish in Class 8. Johnny Campbell helped drive a second-place finish in Class 7. Ian Young helped mount a second-place finish in the Pro Moto Unlimited.